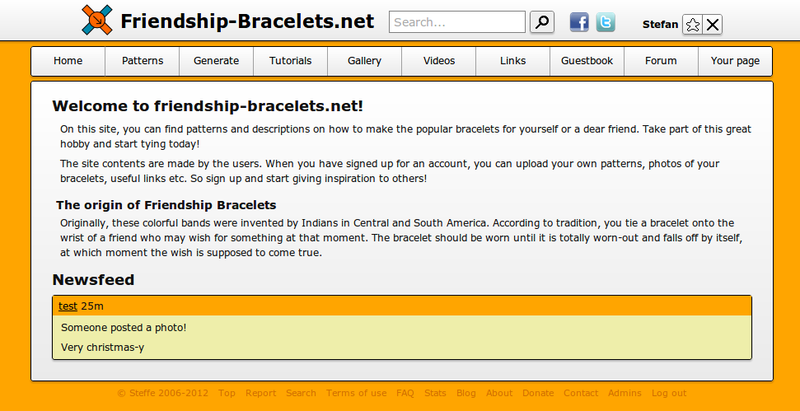 The comment boxes on friendship-bracelets.net are like small web browsers. 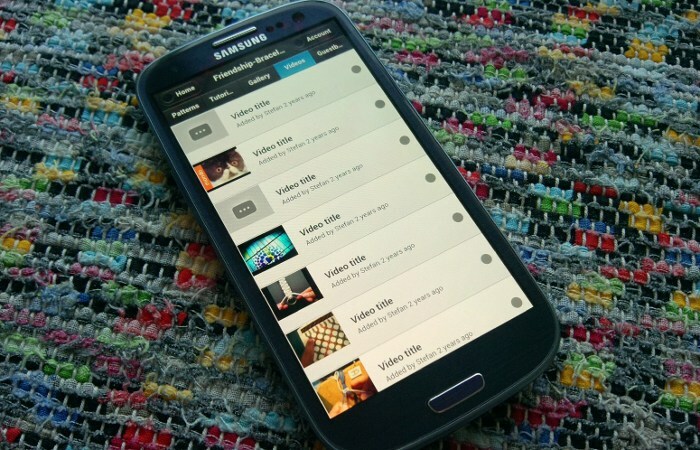 They load stuff dynamically from other places and view only what you need. 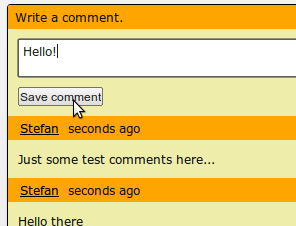 You can post your comment and a script will save it on the server for you. 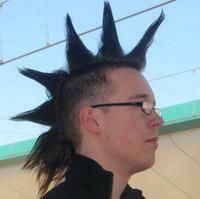 The code from the old version needed to be rewritten for various reasons. The first is that the code was a monster… Second is that it did not load things comments from the server on the desired format. Need to get some sleep now… Over and out. 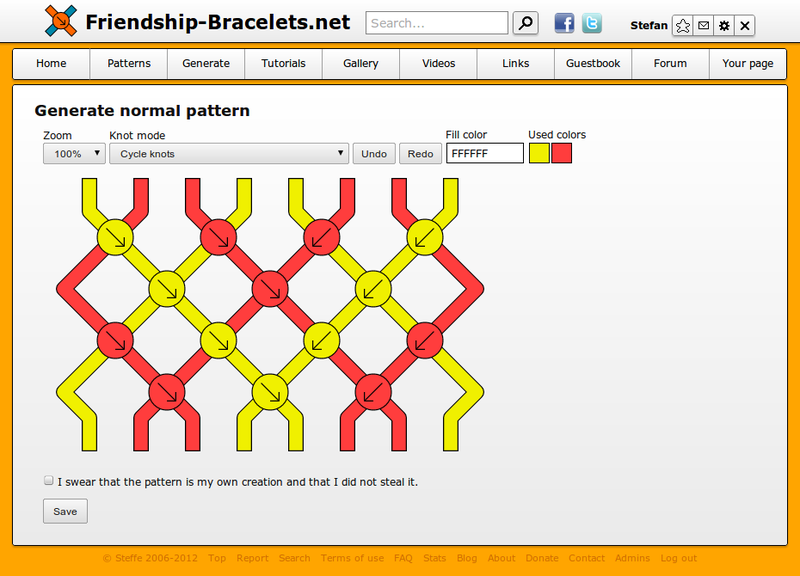 The generators are the most important things on Friendship-Bracelets.net. Users use them to make their own pattern, either of type Normal, Alpha, Kumihimo or simple name patterns. Each letter in this code was representing a knot, and each row represented a row in the pattern. D meant “forward knot”, d was backward knot, R backward-forward knot, and r forward-backward knot. Can you imagine writing a pattern this way? Another drawback with a PHP generator was that the server had to do all the rendering and send back the results to the user every time he/she updated the code. This was very heavy for the server. Later on, I made the generator in Flash. I really hated Flash (I still do) but it was the only reasonable way to make an interactive generator at that time. By that time the site had the same generator code written in both Flash and PHP, which doubled the code maintenance time for me. And I had no experience in unit testing, which made everything a whole mess. Both search and newsfeed are two things on the site that I struggled with the most when I made the first version of the site. Can’t see any problems with doing that today, but I guess that’s what they call experience. 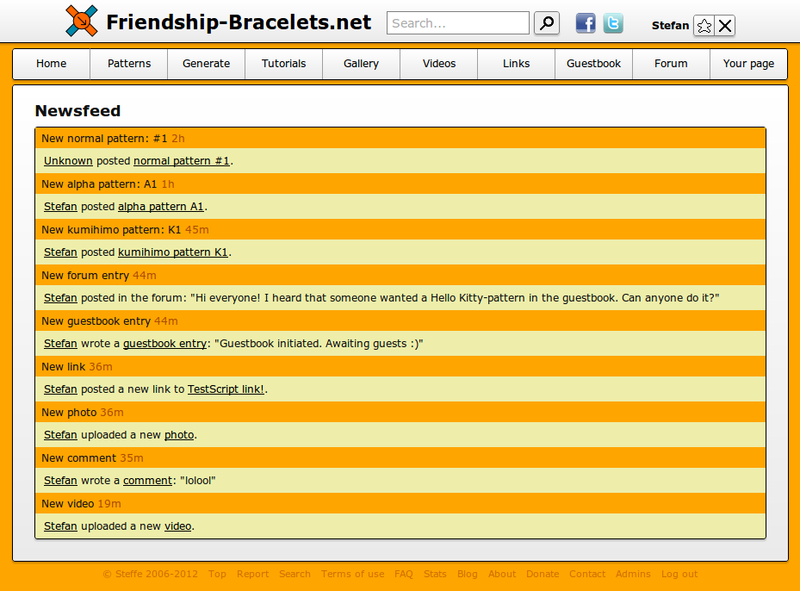 I added support for guestbook and comment search upon request from the users. For the newsfeed I made sure there are no dead links that the old version had a lot of. There has been ideas on making merged newsfeed entries too, such as “User1 and User2 commented on your pattern” instead of two separate entries. I guess that will have to be a future project. There are a lot of basic things that I want done first. Worked some more on the new site, this time I got the signing up process done, including the email sending part. Or at least the first version of it. I also added some nice information that the users will see if the database disconnects. Probably lot better than a simple error message like “too many connections”. Since last time I’ve also signed up for my first Cloud service. I will run the new site on that, no doubt. What it means for you as a user is not much other than a stronger guarantee that the site is always up and running. The Cloud servers will run even if there’s a power outage since they have diesel generators backing them up. Since I now got the cloud and a basic draft of the site, I hope to release an alpha version of it soon enough. There is just a few basic things I need to get working before this can happen, such as being able to change password. 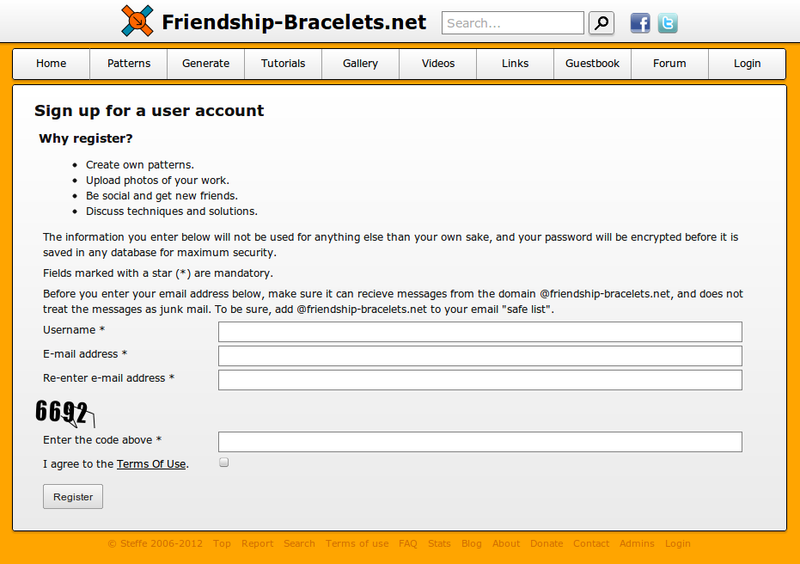 Friendship-bracelets.net has been up for a long time without updates, and it is now getting a bit old. It’s time for me to rewrite it all in HTML5! Obviously, everything should be at least as good as it was before, most things will hopefully be a little bit better. I guess what you guys want is a screenshot, so here you go! What is left to do is the rest of the site (duh!). I think that most of the remaining work is going to go more smoothly, as I’ve already learned how to use the tech behind the stuff above. I’ll get back with more updates, stay tuned!